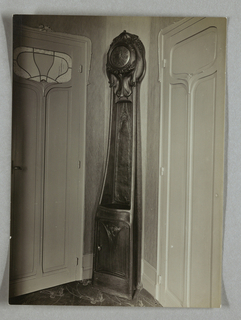 See more objects with the tag curved, art nouveau, hanging, social change, scuptural. This is a Picture Frame. 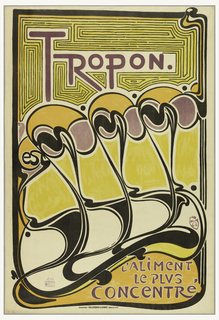 It was designed by Hector Guimard. We acquired it in 1956. Its medium is silvered cast brass, woven silk velvet on board, plate glass. It is a part of the Product Design and Decorative Arts department.